A new market, cafe, and cheese shop is on its way to one of the busiest sections of Brookline, and its concept will be influenced by a legendary deli in the Great Lakes region of the United States. 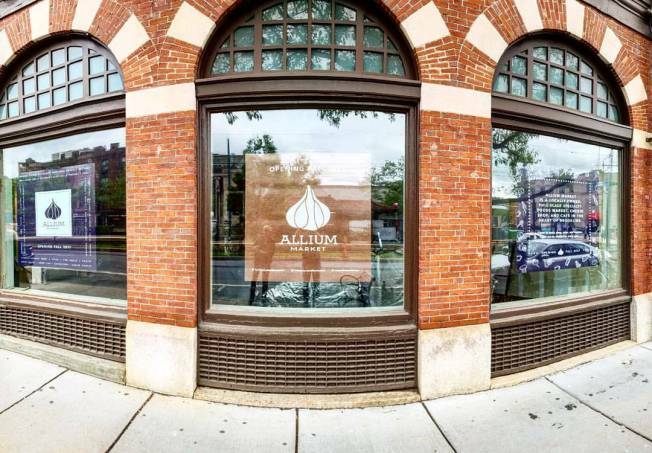 Eater Boston is reporting that Allium Market is planning to open in the old Walgreens space within the historic S.S. Pierce Building in the heart of Coolidge Corner, with the Beacon Street spot getting its inspiration from Zingerman's Delicatessen in Ann Arbor, MI where owner Talia Glass used to work. Once it opens, the market will have such items as produce, sauces, olive oils, vinegars, and pickled vegetables, while the cafe will have lunch and light dinner options including salads, mediterranean-style tapas items, and coffee, and the cheese section will feature an extensive array of domestic and imported cheeses. If all goes as planned, Allium Market could be opening sometime in the fall.